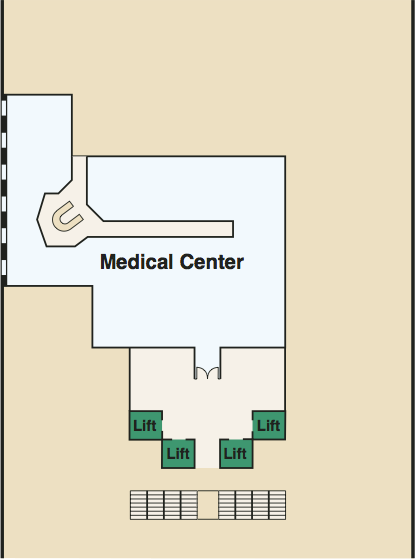 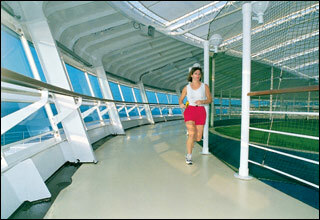 The Sky Deck features Skywalkers Nightclub, Sports Court, and jogging track. 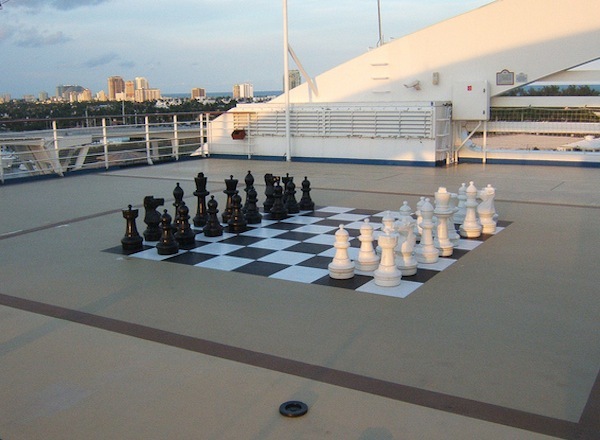 The Sports Deck features Lawn Court, Oasis Bar, The Sanctuary, Platinum Studio, huffleboard, a deck chess set, and whirlpools. 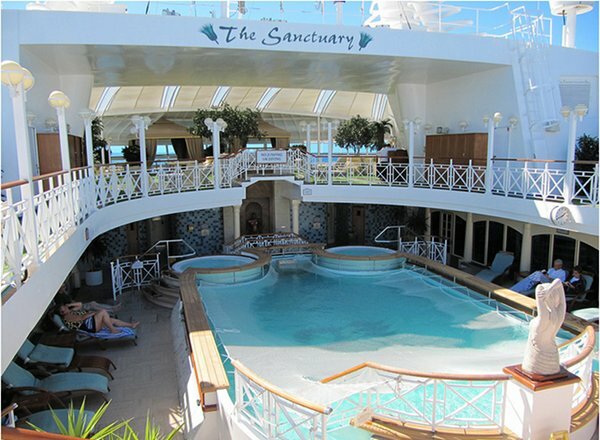 The Sun Deck features The Conservatory, Tradewinds Bar, Movies Under the Stars, Lotus Spa, Salon, Pool & Fitness Center, Teen Center, Youth Center, and Splash Pools. 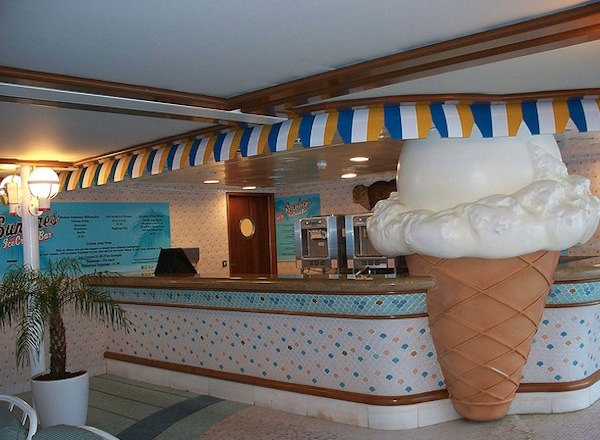 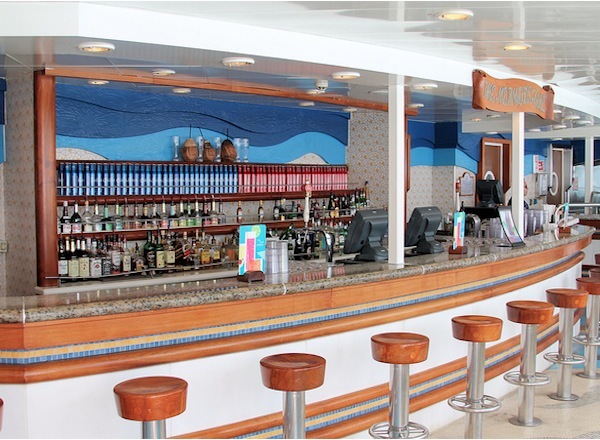 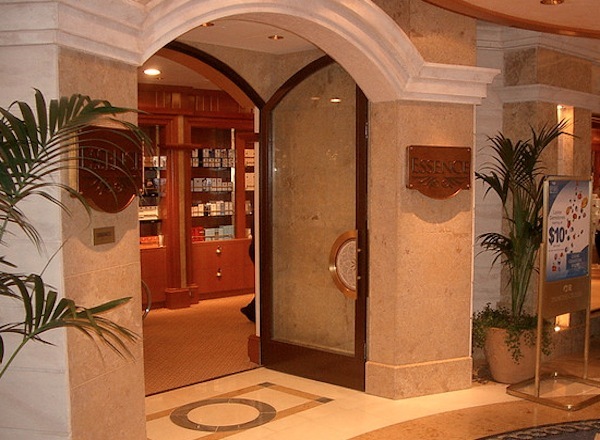 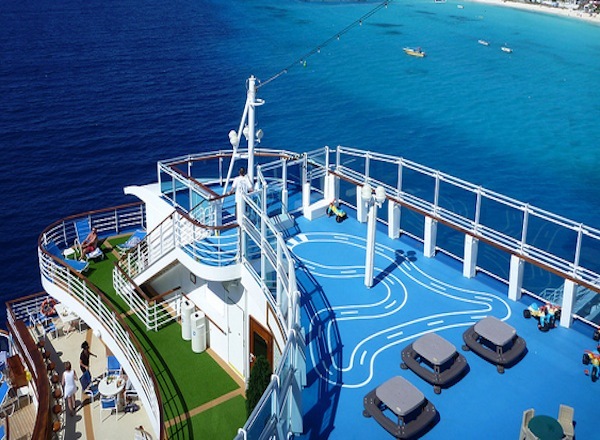 The Lido Deck features staterooms in categories BA and II, as well as Horizon Court, Prego, Trident Grill, The Mermaid's Tail Bar, Sundaes, Calypso Bar, Calypso Reef and Pool, Neptune's Reef and Pool, and Sterling Steakhouse. 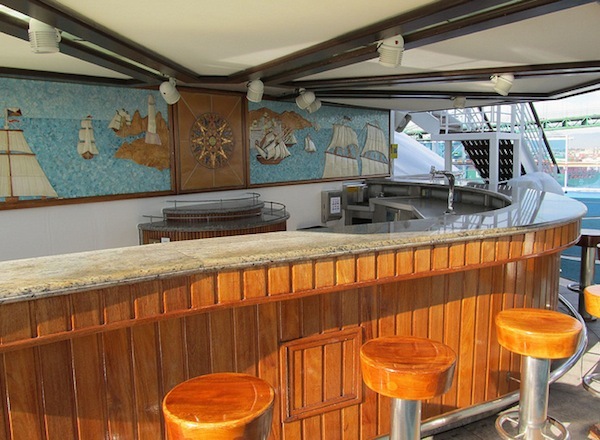 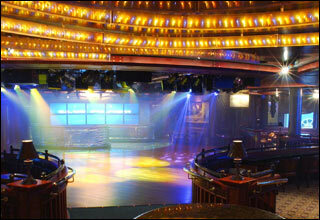 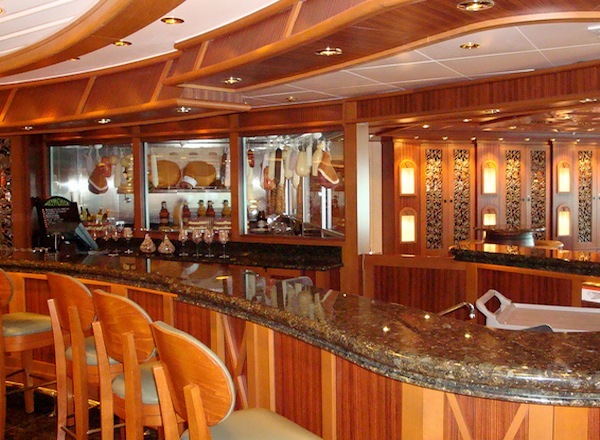 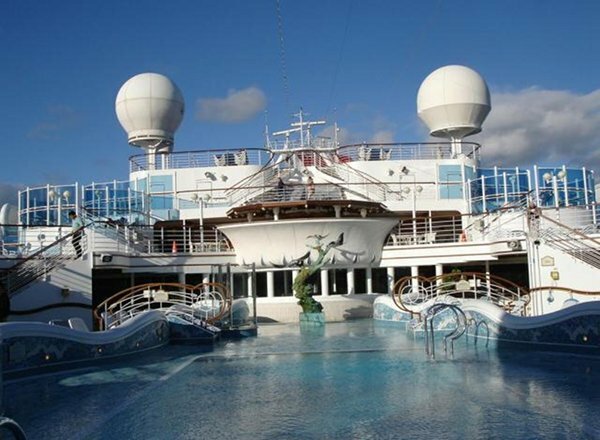 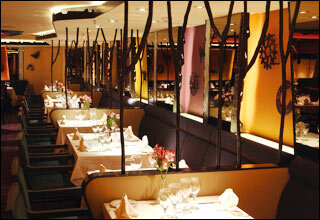 The Aloha Deck features staterooms in categories PS, BB, BC, II, and I, as well as the Terrace Pool. 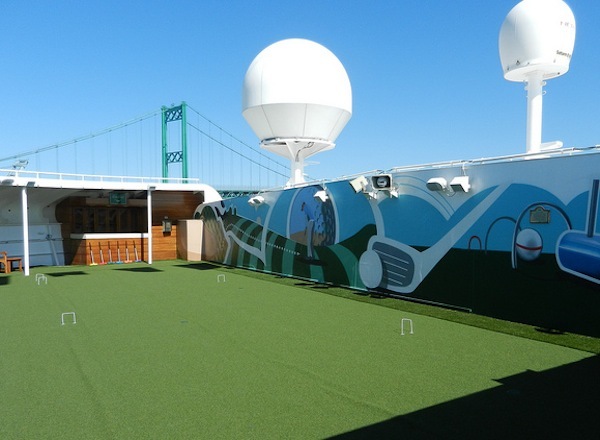 The Baja Deck features staterooms in categories GS, OS, PH, PS, BC, BD, BE, BF, CC, I, and JJ. 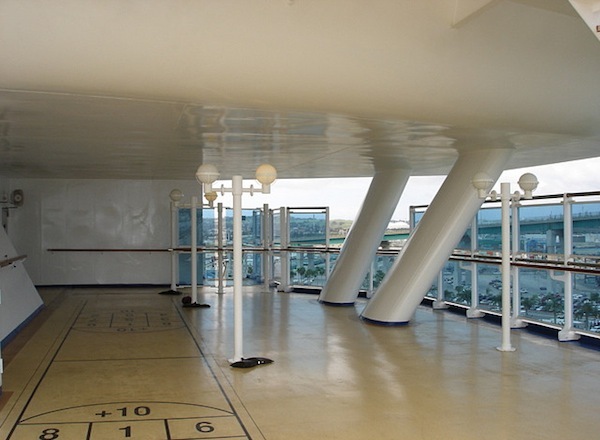 Please Note: Suites, Mini-Suites and Staterooms with balconies on the Baja deck have balconies that are covered except for the very edge over the railing. 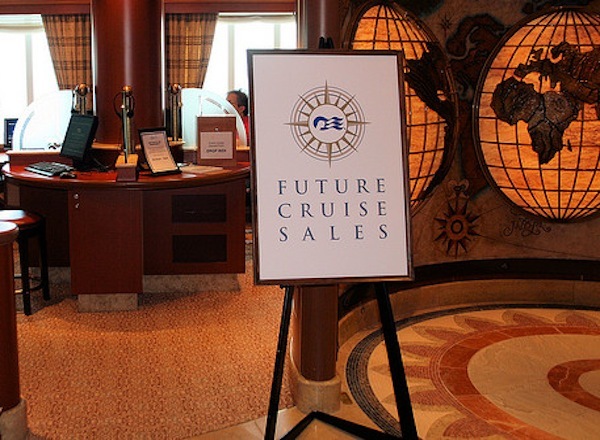 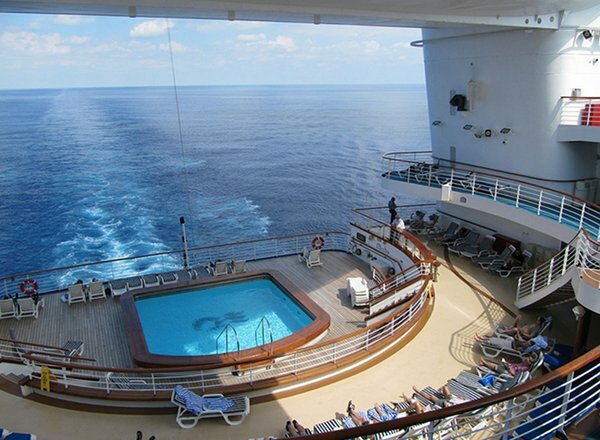 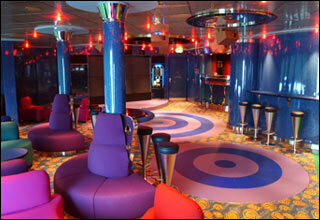 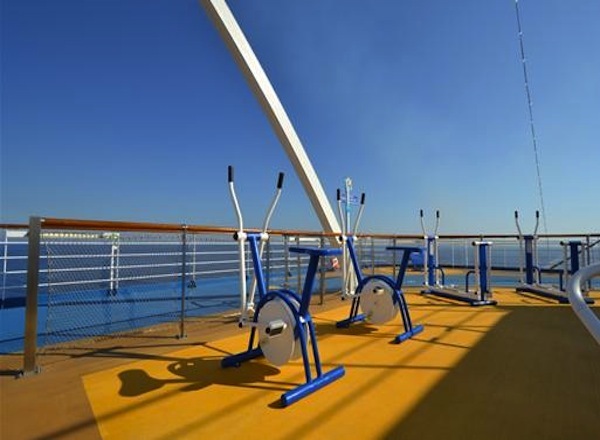 The Caribe Deck features staterooms in categories PH, PS, VS, BA, BB, CC, FF, JJ, and J. 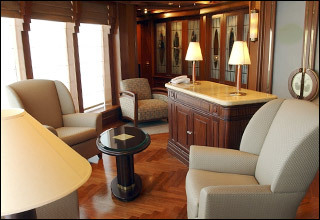 Please Note: Suites, Mini-Suites and Staterooms with balconies on the Caribe deck have balconies that are half exposed to the decks above. 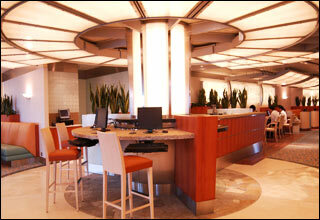 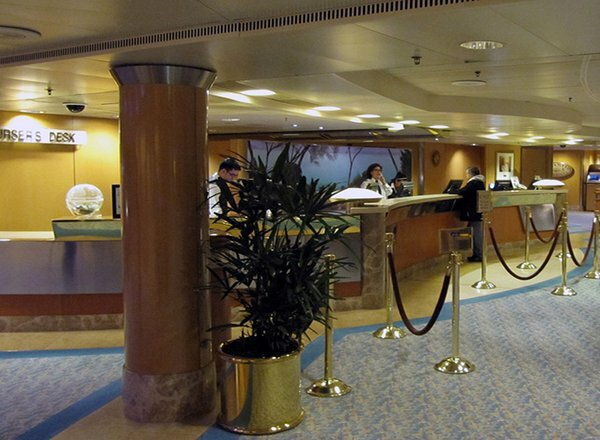 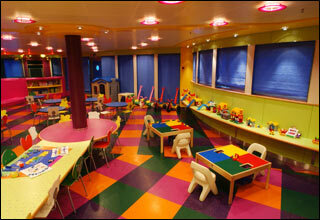 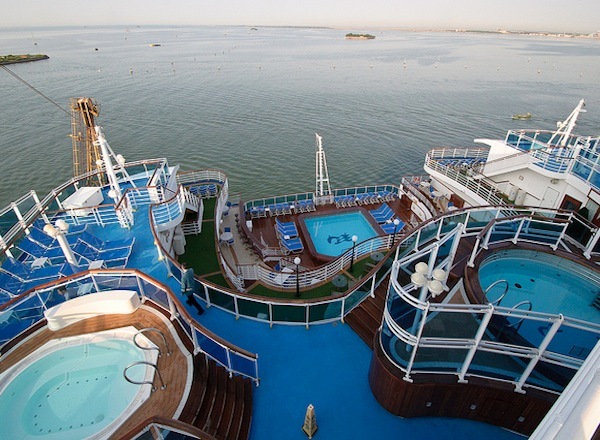 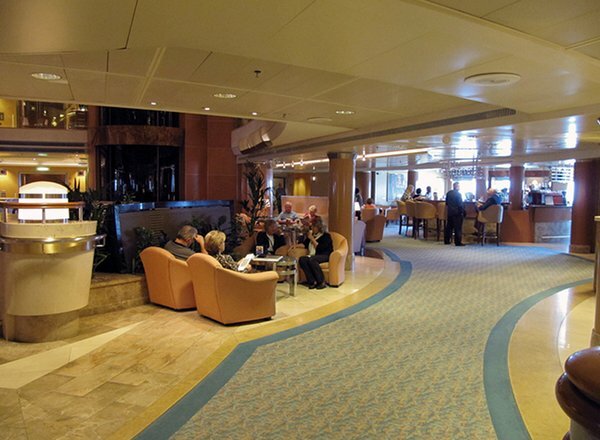 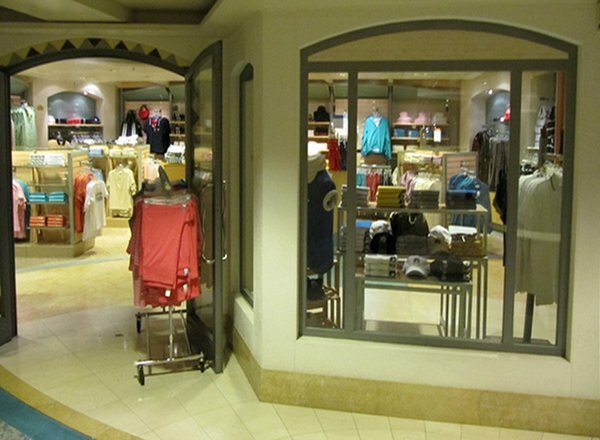 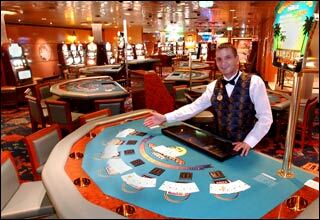 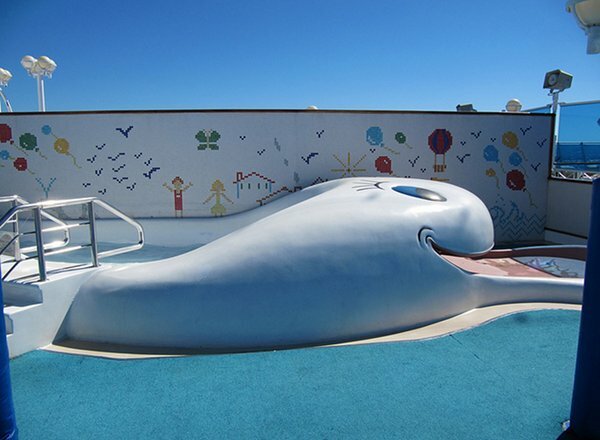 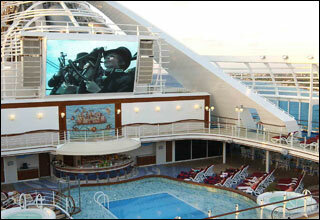 The Dolphin Deck features staterooms in categories VS, XS, AA, AB, AC, AE, BB, and J. 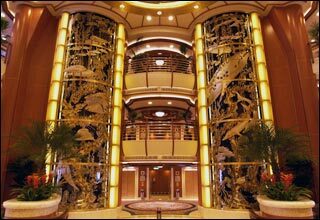 Please Note: Suites, Mini-Suites and Staterooms with balconies on the Dolphin deck have balconies that are completely exposed to the decks above. 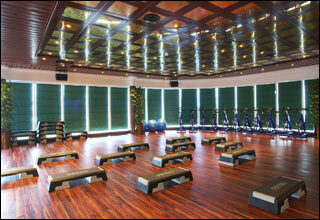 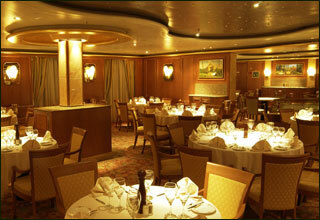 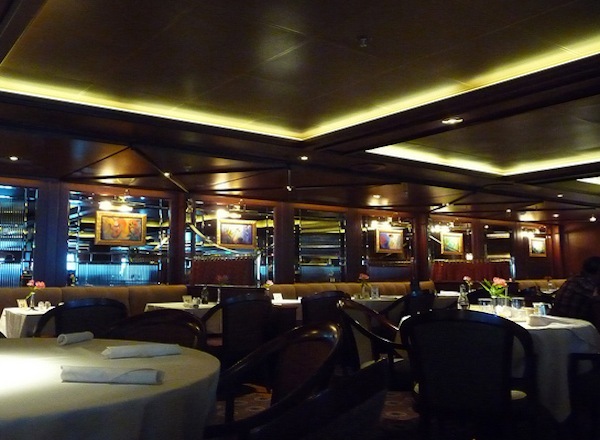 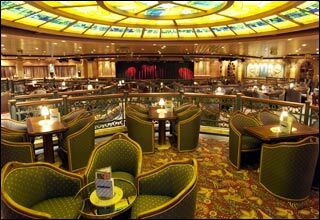 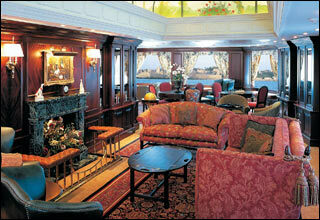 The Emerald Deck features staterooms in categories VS, AD, BB, DD, E, FF, F, GG, G, HH, and J. 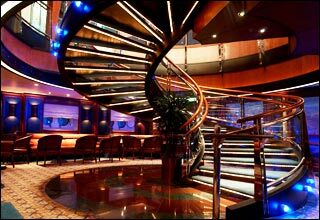 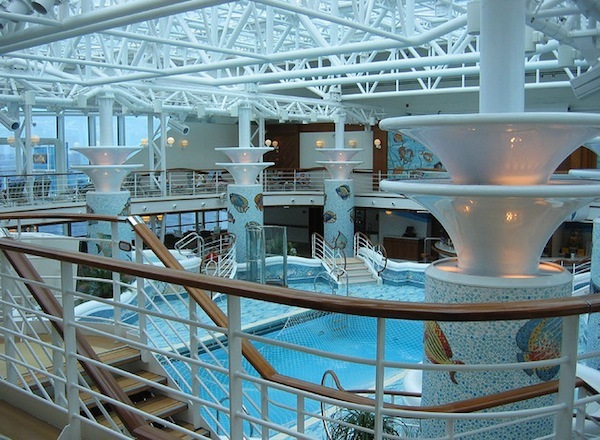 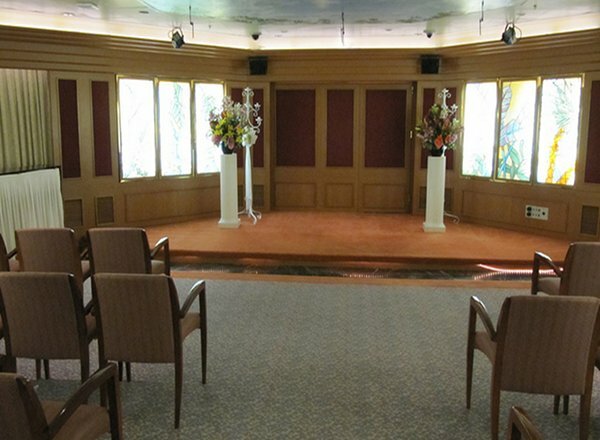 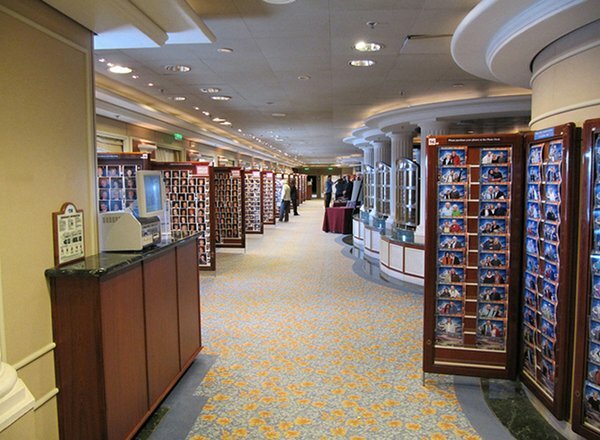 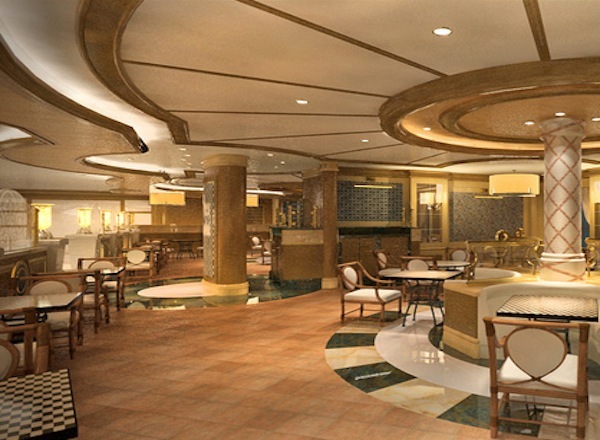 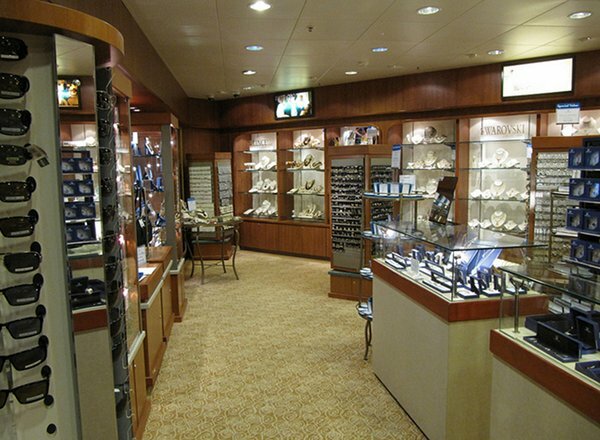 The Promenade Deck features Sabatini's, Princess Theater, Club Fusion, Explorer's Lounge, Crooners Bar, Essence, Wheelhouse Bar, Facets, Essence, an Internet cafe, Hearts & Minds Wedding Chapel, and Photo-Video Gallery. 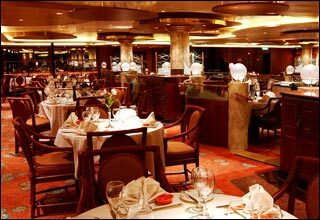 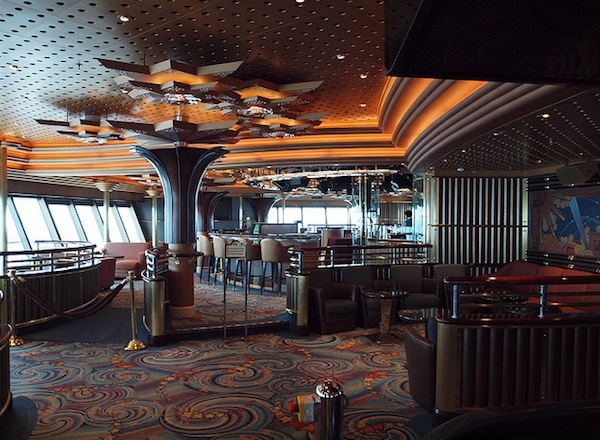 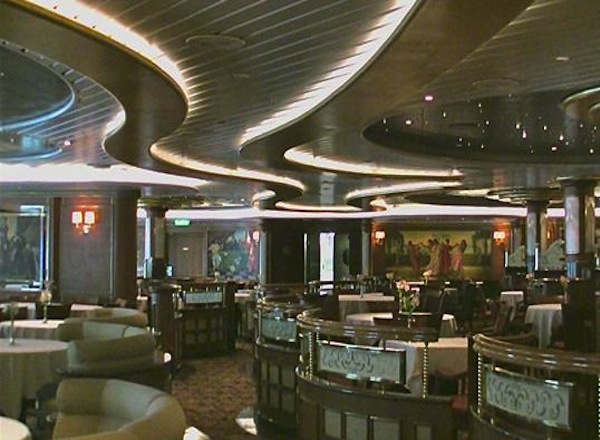 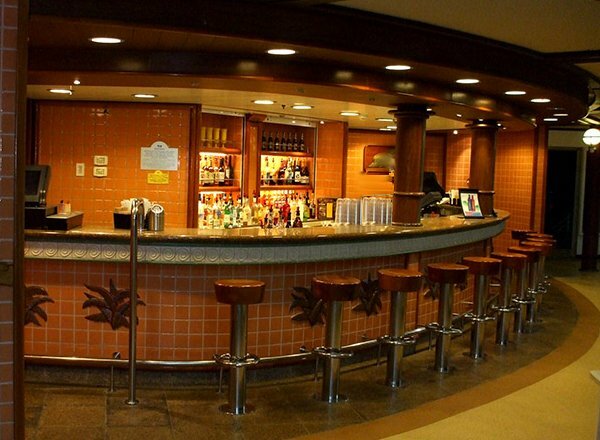 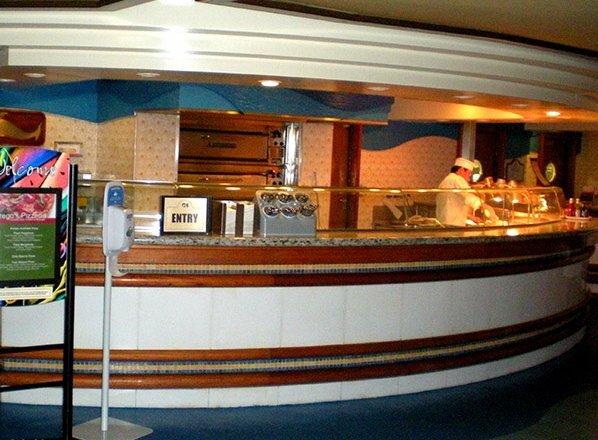 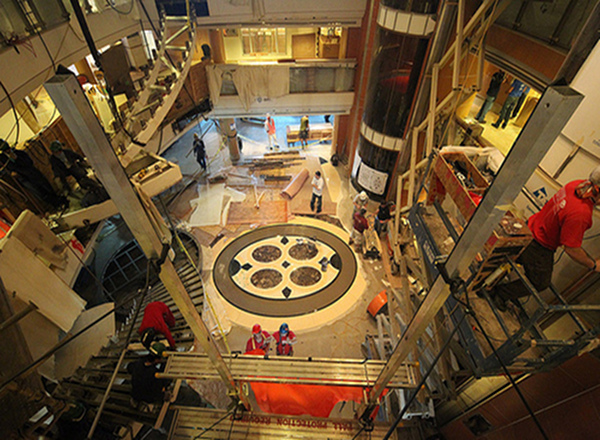 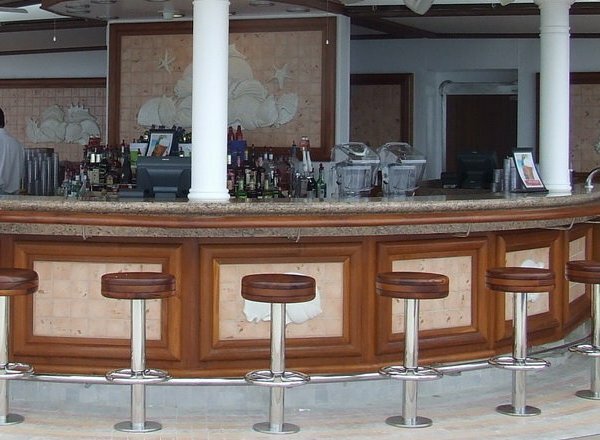 The Fiesta Deck features the International Dining Room, the Wake View Bar, Princess Theater, Pacific Moon Dining Room, Santa Fe Dining Room, Calypso Cove, Meridian Bay, Grand Casino, Churchill Lounge, Library, Shore Excursions Desk, Passenger Services Desk, and Captain's Circle Loyalty Desk. 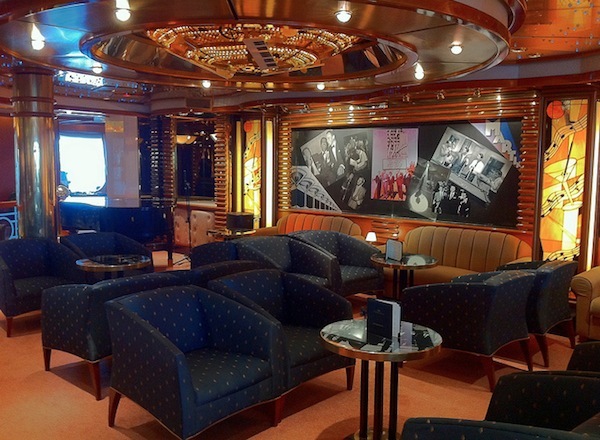 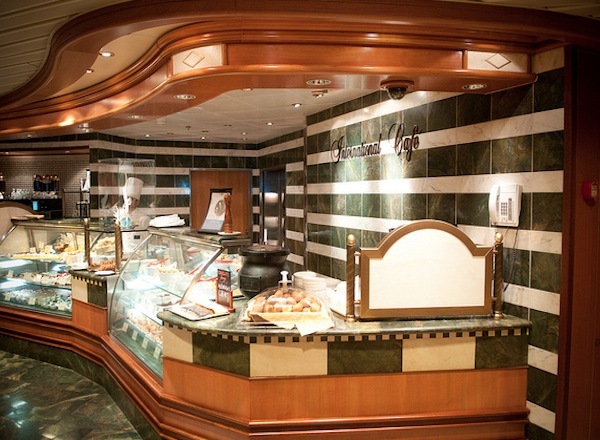 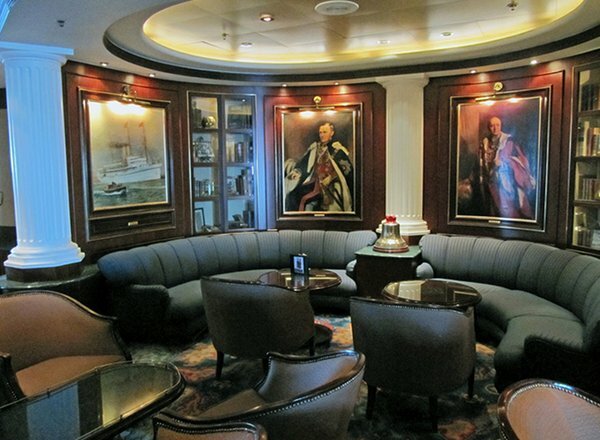 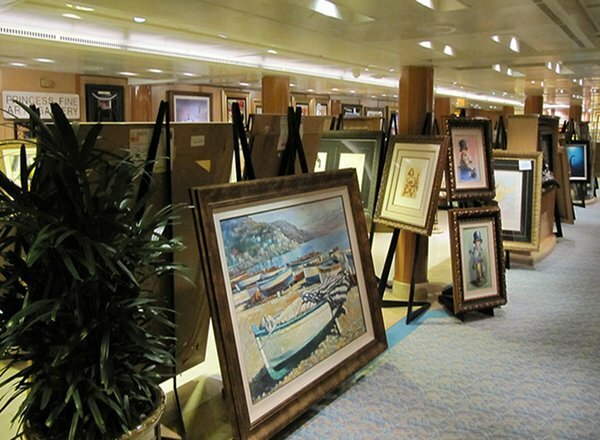 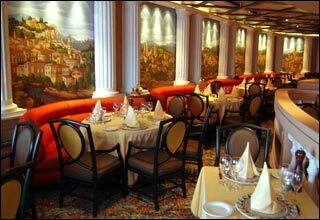 The Plaza Deck features staterooms in categories D, EE, K, L, and M, as well as the Savoy Dining Room, Vivaldi Dining Room, Princess Fine Arts Gallery, The Piazza, Vine's Wine Bar, International Cafe, and Alfredo's Pizzeria.